Two months ago, Hotmail announced the addition of new email controls that will give users greater ability to regulate the influx of marketing messages they receive. 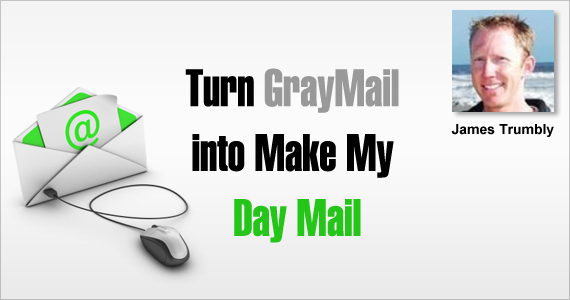 The new features will address the problem of “graymail,” the messages a user did at one time subscribe to but which now no longer engage his attention. Newsletters, Groupon-style ads, and online clubs can all fall under the category of graymail if the subscriber deletes or marks them as spam without opening. While news of Hotmail’s new graymail controls may cause initial panic for email marketers, the truth is that the success of your email marketing campaign will continue to depend on the same thing it always has: value for the subscriber. Your customers wanted your email once; by making each email communication relevant to your subscribers, you can continue to keep them engaged with the marketing emails you send. Get Permission—Use double opt-ins whenever possible. A quality subscriber list will yield far better results than quantity. Communicate Expectations—Will the subscriber receive a message daily? Weekly? Monthly? Don’t flood his inbox with unwelcome messages. eConnect Email can walk you through the e-mail creation process from start to finish in order to ensure that each message you send communicates value to your subscribers. In addition, every client receives the benefits of our stellar deliverability program which includes white-listing, permission-based list building, and human reviews. Takeaway: Email marketing success hinges on faithful delivery of one thing: value to the subscriber. Make it relevant and beneficial every time to keep subscribers engaged and happy! Profile: Co-Founder and Director of Business Development for eConnect Email, an email marketing software company. James enjoys spending time at the beach and traveling in his free time. .